To celebrate 50 years of its flagship sedan, Jaguar has brought in the special edition XJ50 in India at Rs 1.1 crore. Available in just the long wheelbase version, the XJ50 get minor cosmetic updates and badging to differentiate it from the standard model. The XJ50 demands less than Rs 1 lakh from the standard model. Coming to the changes, the XJ50 gets revised front bumper and chrome surround for the grille and fog lamps. Other changes include a new set of 10-spoke 19-inch alloy wheels and XJ50 badges at the front as well as the back. The XJ50 has gone on sale in four exterior colours - Loire Blue, Fuji White, Santorini Black and Rosello Red. On the inside, the XJ50 gets all the feature and luxury from the standard model and then some. It comes fitted with a diamond quilted seat and XJ50 insignia on the headrests and the central armrest. Th paddle shifters on this one are anodised and the pedals are bright metal. Other features have been carried forward from the standard model including the Touch Pro infotainment system, a 12.3-inch TFT instrument cluster and two more screens for the passengers at the back. Mechanically, there are no changes to the Jaguar XJ50. It continues to be powered by the 3.0-litre V6 diesel mill. This motor 301bhp to the rear wheels and develops an insane 689Nm of torque. This engine comes paired with an 8-speed automatic transmission. Jaguar claims that the car can push the 100km/h mark in just 6.2 seconds and record a top speed of 250km/h. 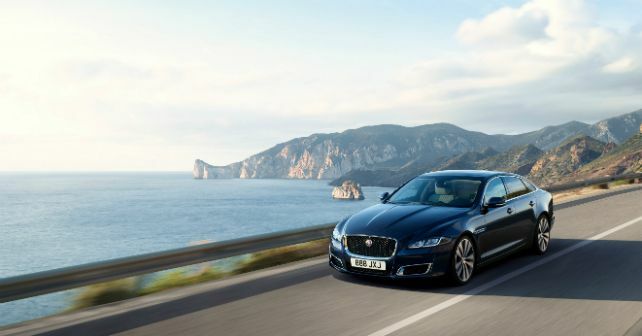 The Jaguar XJ competes against the likes of the Mercedes-Benz S-Class, BMW 7 Series and the Audi A8L. While BMW and Mercedes have brought in new-gen versions of their flagship sedans, Audi and Jaguar still have to make their move.